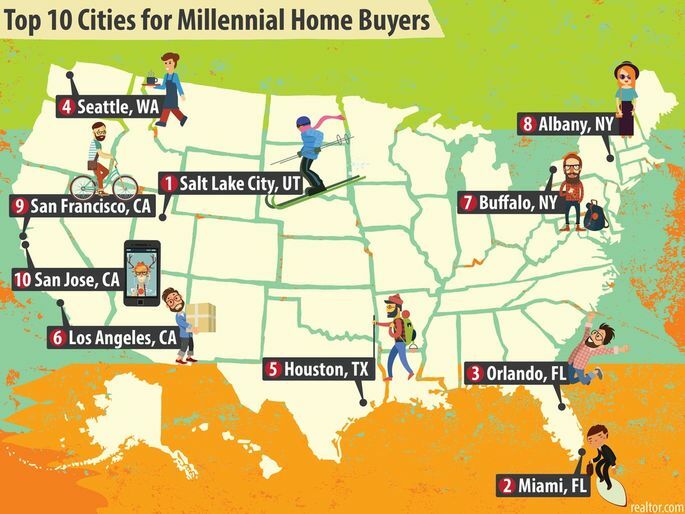 Realtor.com ranked Salt Lake City as the #1 city for Millennial home buyers. There are many things about Salt Lake City that would draw Millennials to this city such as the low unemployment rate (2.9%) and cheap entertainment. Salt Lake City is a “burgeoning tech scene that lures young people to companies like Adobe and Electronic Arts. In fact, the city has come to be known as “Silicon Slopes,” with homes at one-third of Silicon Valley prices and plenty of sweet skiing and boarding a short ride away.” Read more about Salt Lake City and the other cities ranked in the Top 10 here. Professional Recruiters can help you find and hire the right Millennial for your company. Your time is too valuable to waste. Professional Recruiters will find and recruit qualified and skilled employees in a reasonable time frame.